Let’s start with a few terms that you may have heard, but don’t truly know what they mean. Paper Crafter – This is a term for anyone who likes to make craft out of anything paper related. This can include amongst other things scrapbooking & card making but is not limited to just these 2 avenues. Traditional Scrapbooker – A person who likes to record memories & events via the creative use of paper & other embellishments. It usually but not always involves photographs of people & places. Traditional refers to the format/size of the project. Traditional scrapbookers usually work with a 12 x 12 inch sized piece of paper or cardstock as their background. Sometimes this may be reduced to 8 x 11 inches or even 8 x 8 inches or even 6 x 6 inches depending on their desired outcome. Project Life Scrapbooker / Pocket Page Scrapbooker – This is a newer way to document your memories & events. These involve the use of pre-formatted page protectors that offer a variety of pockets in either 6x 4 inch or 3 x 4 inch sizes. 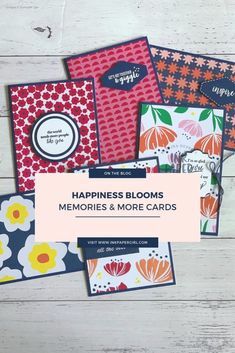 This is consider to be quite time efficient as you simply slide your treasured photos into an appropriately sized pocket & then add some precut patterned paper or cardstock to the remaining pockets to help decorate & reflect the theme of your memory or event. Digital Scrapbooker – Refers to anyone that uses a digital designing program on their PC to create the same look as a Traditional scrapbooker or Project Life style style page, without the need for real paper & embellishments. Here in Australia it can be hard to find somewhere to print your digital layout in Traditional 12 x 12 inch size. However a lot of people store their finished pages on their computer to save on physical storage space at home. Card Maker – Someone who likes to make greeting cards to give to family & friends or to sell at markets & other events. 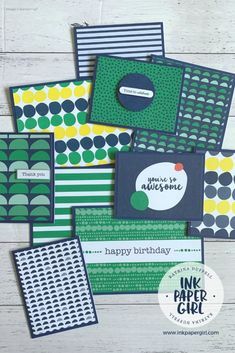 This involves the use of heavy weight cardstock to make the card base sturdy & either some stamping with stamps & inks or the application of patterned paper & embellishments. Most commonly it involves both at once. Ok, now we will move onto terms that are related to items you may require as part of the Scrapbooking &/or Card Making process. Basic Kit – So you want to attend a class for either scrapbooking or card making but it says to bring a “basic kit”….. Don’t worry, the first time I saw that written somewhere I nearly didn’t go to the class. I had no idea what it meant & I felt too embarrassed to ask. This means you need to bring the following items as a minimum, a Paper Trimmer, Double Sided Tape or other adhesives, a Craft mat, a Ruler, Pen, Lead Pencil, Eraser, Baby Wipes. Now lets look at each of these in a little more detail. 1: Paper Trimmer a device similar to a guillotine but much safer & easier to use to cut paper in nice straight lines. If you don’t have a paper trimmer don’t despair, a ruler, a pencil, an eraser & some scissors will do the job just fine to start with. 2: Double Sided Tape is a type of adhesive tape that is sticky on both sides. It is used for sticking one piece of paper to another or for sticking photos to a scrapbook page or paper or embellishments to a card. You can also substitute this with a top quality acid free glue stick, or liquid glue. Some people prefer to use double sided tape in something they call a “snail”, this is just a fancy way to store & apply your tape. I personally end up in a big mess when I’m using one of these & just buy a roll of Double Sided Tape & either cut it with scissors or tear it with my fingers. 3: Glue Dots. These work in the same way as double sided tape, however they come in either a sheet or roll format & are little circles or squares of glue that is still tacky to touch. They will still stick 2 pieces of paper together or hold a heavier embellishment onto a page or card. Some people prefer these for ease of use over double sided tape. I only use them if I’m sticking something heavy like a button onto a page or card & don’t want to wait for my liquid glue to dry. 4: Dimensionals or Foam Tape. This is just like double sided tape except it has a layer of foam in between the two sticky sides. This is used when you want to add an element of lift or want something to stand out more on your scrapbook page or card. Dimensionals are usually pre cut into various shapes, they can be square, circular or a hexagon in Stampin’ Up’s case. Foam tape comes in a roll & you will need a pair of scissors to cut it to the size you require. 5: A Craft Mat is something of an essential if you want to protect whatever surface you are working. It not only helps to prevent staining from accidental ink, glue, paint spills etc but it also helps to give you a smooth consistent surface to work on. Craft Mat’s come in many different styles & sizes, some are made from silicone & can be rolled up, while others are made from rubber. It doesn’t really matter what kind you have unless you want it to do something more than just protecting your work surface. 6: Ruler, Pencil,Pen, Eraser. These are exactly what they have always been, it’s often handy to have them in your basic kit so that you can measure accurately & mark up where you need to cut or fold your cardstock or paper. Pen’s come in all sorts of styles. Sometimes you might hear them referred to as “journaling” pens. This is in reference to scrapbooking where you might be better off with a specific type of pen & ink in order to preserve your memories for longer. 7: Baby Wipes, sounds crazy but these are invaluable as a beginner & also as a more experienced crafter later on. Initially you will use these to clean the ink from your stamps & the glue & ink stains from your fingers. As your progress you might choose to use these for applying ink to various scrapbook pages & cards to get a different effect. I also use these to clean up my craft mat where I might have stamped part of an image onto it instead of putting paper underneath. Again I like them for cleaning up glitter & embossing powder too. Now that we have the hang of the basic terms & equipment required across both scrapbooking & card making.What else do you need to know? Well that depends on what you want to achieve. I’d highly recommend attending a few classes to start with. Attending a couple of classes for either scrapbooking or card making or both will give you an invaluable insight into various techniques & what can be achieved. You will often be surprised with how easy it is to create amazing projects. Whenever I’ve attended a class the other people there have always been friendly & even if you go alone, you will find that someone will start a conversation with you during the quite times. I like to listen to people discuss various ways of making a project & learning new ideas or being inspired by extra tips & tricks. Another suggestion would be to attend something called a “Scrap’n’Chat” night. The name is misleading as this kind of event usually encompasses both card makers & scrapbookers. These events are less structured than a class & if you are finding it hard to make time at home to get started, then they can provide the ideal way to get out of the house & still enjoy some craft time to create your own masterpiece. What’s the difference between a Class & a Scrap’n’Chat style event? 1: A class will normally have a fee attached. This fee covers either some or all of the supplies required to complete a pre-designed project eg: cards or scrapbook layout & as such is often higher than a scrap’n’chat night fee. The person running the class will be there to help you through the various steps to get the desired outcome. Sometimes your supplies will come pre-cut & packaged into separate projects to make things more streamlined. Classes may feature a particular technique or stamp set, or both! Either way you will be making something in an environment where you are likely to meet other crafty people & be able to learn from them as well along the way. 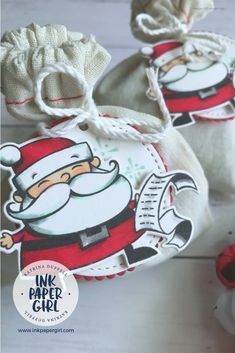 1: Your “Basic” Kit, (Paper Trimmer, Double Sided Tape or other adhesives, a Craft mat, a Ruler, Pen, Lead Pencil, Eraser, Baby Wipes). 2: Plain Cardstock either 12 x 12 inch for scrapbooks or A4 is suitable for cards. When it comes to cards the thicker the cardstock the better. No-one wants to make a card that is so flimsy that it falls over. If you want to make cards you could consider buying some pre-scored & pre-folded card bases. These are available in varying quality from places like Kmart & the discount variety stores or in excellent quality from Stampin’ Up!. Don’t forget to get envelopes too. 3: Patterned Paper. This is thinner/lighter than cardstock. It’s more decorative than it is functional. This is used for layering onto the cardstock base, in both scrapbooking & card making. 4: Embellishments. These are things like ribbon, twine, sequins, buttons, enamel dots, stickers, rub-ons, washi tape, letters (as in an alphabet) etc etc. The full list is too long for this post. 5: Acrylic Stamp Blocks. These are more for card makers who are likely to be using stamps that aren’t permanently mounted to a wooden block. Acrylic blocks come in all shapes & sizes. Choose whichever ones fit your stamps best. You can sometimes borrow these at an event but you might have to wait for your turn if everyone else is doing the same thing. 6: Stamp Sets, unless the event you are attending specifically states that you can use their stamp sets you should always bring your own. In some cases you may prefer your own for the project that you have in mind. Stamps are available in many different forms. The 3 pictures below show the most common types of stamps, Rubber & Photopolymer. As you can see from the images the Wood Mount stamps are permanently attached to a wooden block, where as the Clear Mount & Photopolymer can be attached & removed to/from a clear acrylic block when needed. 7: Ink Pads, as above unless these have been specifically offered you should assume that you will need to bring your own & again you may prefer your own selection of colours. Some ink pads are suited to specific uses or techniques. Always test on scrap paper before stamping onto your project to double check you are happy with the image produced. Now that you’ve decided to get started how do you transport all your equipment & supplies? That’s totally up to you of course & I’ll cover more on that in a future post. In the beginning a plastic tub or two will do the job quite nicely without breaking the budget. I hope that this post has been of some help to you or someone that you know that wants to start scrapbooking &/or card making. It is by no means a definitive list, rather it is meant to be a short introduction, that will help settle any nerves or anxiety you might be feeling. After all a hobby is meant to be something you enjoy doing :-). PS: Don’t forget to let me know if this has helped you or if you have tips or tricks that you’d like to share. Please leave your thoughts in the comments section below.